I have been in love with Matt Haig’s writing for a while now, ever since reading The Radleys, The Dead Fathers Club, and even more so since reading the spectacular The Humans. In How To Stop Time, the author shows once again the complexity of the human experience and the universality of a search for meaning. In How To Stop Time, we meet main character Tom, who appears to be about 40-ish but is in actuality closer to 500. He’s one of a small group of people with a rare condition that slows the aging process — dramatically. They’re not immortal; they age normally up until puberty, and they will die of old age eventually. They can also die of injury just like anyone else, but meanwhile, Tom appears to age about one year for every 15 that he lives. 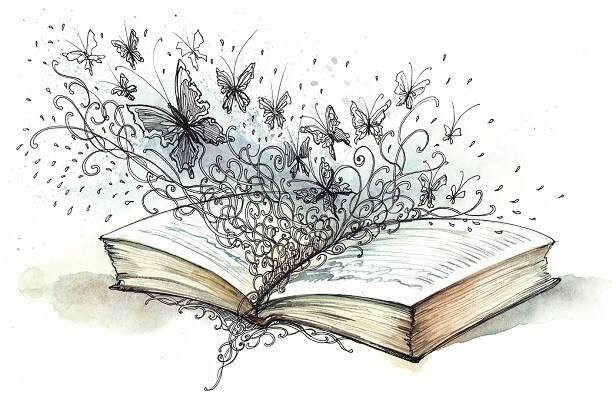 A secret society of similarly afflicted people refers to themselves as albas, short for albatrosses (as the bird is supposedly long-lived) — and, unflatteringly, regular humans are simply mayflies, with lives so short by comparison that they’re barely worth paying attention to. According to Hendrich, the organizer and enforcer of the albas, eight years is about the maximum someone like Tom can remain in any given identity and location before starting fresh. Otherwise, people start to notice, and gossip and odd looks can lead to severe consequences. Or at least, that’s been the governing truth for centuries. And there’s a certain logic to it. Tom was born in the late 1500s, and saw his own mother tried as a witch when neighbors realized that her teen-aged son remained unnaturally youthful while everyone around him aged normally. Early on, Tom has his one and only experience with love as well. After leaving his childhood home after his mother’s cruel fate, he eventually falls in love with a lovely young woman named Rose. They eventually marry and have a child — but Tom is forced to leave after some years when once again, his eternal youth raises suspicion and threatens to bring disaster down upon his family. Since then, Tom wanders the world, assuming fresh identities and homes every 8 – 10 years, but never truly allowing himself to connect or become a part of anything permanent. And while eternal (or long-lasting) youth might sound amazing to anyone dealing with grey hair and wrinkles, the fact is that for Tom, it’s an incredibly lonely life that seems to lack any sort of meaning. Of course, on the plus side, he’s had lot of years to learn, grow, and try new things. From being a simple lute player way back when, Tom has become a gifted musician skilled in many instruments, and his ability to impart history as a living, breathing concept is what makes him a fantastic high school teacher. He’s also rubbed elbows with a who’s who of famous folks over the centuries, from Shakespeare to F. Scott Fitzgerald, and can pull up those memories at a moment’s notice. When Tom begins to connect with another teacher at the school, he has to confront the lonely existence he’s had and to make some decisions. Does he let this woman into his life? Can he be honest with her? What will Hendrich do if he finds out? How far will Hendrich go to make sure that the secrets of the albas remain secret? How To Stop Time is truly fascinating. I loved the dilemmas presented by being a man out of time, someone who has lived everywhere yet fits in nowhere. Tom is a thoughtful and sympathetic character who keeps going for only one reason, which I won’t reveal here. He suffers physically and emotionally from the constant bombardment of memories from his centuries of life. You can’t help wanting him to be happy, even while acknowledging the huge barriers to that happiness. 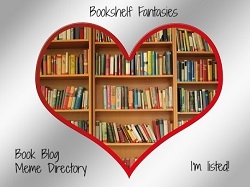 The premise is so interesting and absorbing, and I couldn’t put the book down. At the same time, it’s Matt Haig’s extraordinary writing and use of language that makes this book truly soar. I was so caught up in reading that I didn’t stop to mark pages and passages of interest, which makes it hard right now to highlight quotes and give examples of why I loved this book so much. And, just as it only takes a moment to die, it only takes a moment to live. You just close your eyes and let every futile fear slip away. And then, in this new state, free from fear, you ask yourself: who am I? If I could live without doubt what would I do? If I could be kind without the fear of being fucked over? If I could love without fear of being hurt? If I could taste the sweetness of today without thinking of how I will miss that taste tomorrow? If I could not fear the passing of time and the people it will steal? Yes. What would I do? Who would I care for? What battle would I fight? Which paths would I step down? What joys would I allow myself? What internal mysteries would I solve? How, in short, would I live? I hope you do — would love to hear others’ opinions! I will definitely read this one! Sounds amazing. And a great title and cover as well. Lovely, convincing review Lisa. 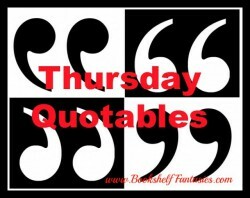 I’ve done a Thursday Quotable, will add the link. Great review! 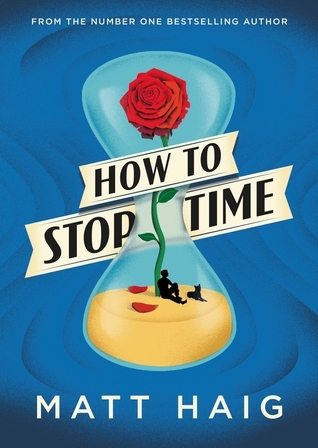 I definitely think I’m going to give “How to Stop Time” a read! Thanks for the review!